WASHINGTON — It was like watching C-SPAN from an alternate dimension. In a hearing where it was sometimes hard to tell Democrats and Republicans apart, senators on Wednesday made headway on a bipartisan bill to improve Obamacare as they questioned state insurance commissioners from both parties. "This hearing is about taking one small step," Sen. Lamar Alexander, R-Tenn., who chairs the Health, Education, Labor and Pensions committee that held the hearing, said in his opening remarks. "A small step on a big issue that’s been locked in a partisan stalemate for seven years." Temporarily setting aside fights over repealing the Affordable Care Act or enacting a single-payer system, senators and state officials alike discovered a broad consensus on making minor tweaks to lower premiums and increase competition among insurers. In stark contrast to the last six months of battle over the future of the health care law, senators made only passing reference to partisan talking points. Instead, they focused on extracting wonky details from the assembled state experts about their experience administering the law. Alexander said lawmakers needed to agree on a bill by the end of next week to have an impact on premiums for 2018, which insurers will finalize next month. He recommended focusing on two measures: funding cost-sharing reduction payments owed to insurers, which President Donald Trump has threatened to cut off, and making it easier for states to apply for waivers to try new approaches to health care. In both cases, he found little objection. The state insurance commissioners, who were selected to testify by Republican, Democratic and independent governors, said that making the cost-sharing payments was necessary. "This issue is not an insurer bailout," said the commissioner from Tennessee, Julie Mix McPeak. Teresa Miller, who was Pennsylvania’s insurance commissioner until taking over the state’s human services department this month, said, "I cannot stress how difficult this uncertainty is on our markets." Commissioners complained about the waiver process, with both Democrats and Republicans arguing that it required too many steps, too many sign-offs from state legislators and officials, and too long a wait to apply. The conversation suggested there was plenty of common ground on some minor changes, even if there was disagreement over how much leeway to give states in deciding what benefits and protections insurance plans should have. Even Oklahoma's insurance commissioner, John Doak, a Republican who called Obamacare a "failure" during the hearing, backed continuing cost-sharing payments and granting more flexibility on waivers as a stopgap measure. In addition, several commissioners talked up the benefits of state or federal reinsurance — a program that helps insurers pay for high-cost patients in order to lower premiums — and the idea drew considerable attention from senators in both parties. "I think you all agree that we should have reinsurance," Sen. Al Franken, D-Minn., said at one point. Alexander expressed skepticism that the federal government needed to pay for a new reinsurance program up front, instead pointing to states like Maine that raised the money themselves with a surcharge on premiums. But the conversation was earnest and detailed, with senators asking follow-up questions and commissioners eager to offer technical answers. 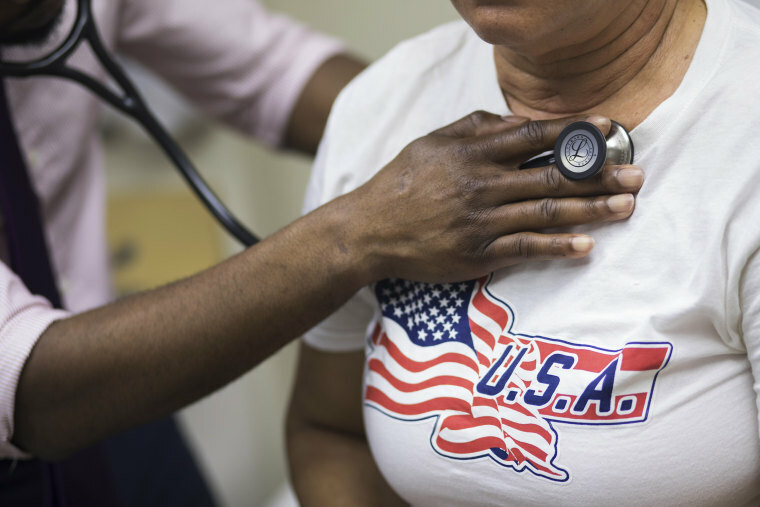 The commissioners and senators differed somewhat on the impact of the Trump administration’s plan to slash funding by 90 percent for ads promoting the next Obamacare enrollment period and cut money for navigators who can help customers with their applications. Alaska’s insurance commissioner, Lori Wing-Heier, said the navigators were critical to helping rural customers access insurance, especially given the region’s lack of health care infrastructure. But Doak was skeptical, saying that Oklahoma had plenty of private enrollment efforts and that the government should study the effectiveness of enrollment efforts. Protect Our Care, an activist coalition that opposed Republican efforts to repeal Obamacare, issued a statement afterward praising the hearing as "a notable and welcome departure from the secretive, partisan and ultimately failed repeal effort" that preceded it. There are three more hearings scheduled on the topic this month, including one on Thursday that will feature governors from both parties.